Have you ever wondered what the Back to the Future trilogy would look like in chronological order? Well Back to the Future fan Michael Suich is re-editing the Robert Zemeckis‘ trilogy to show the events of the films in the order they happened in Hill Valley. 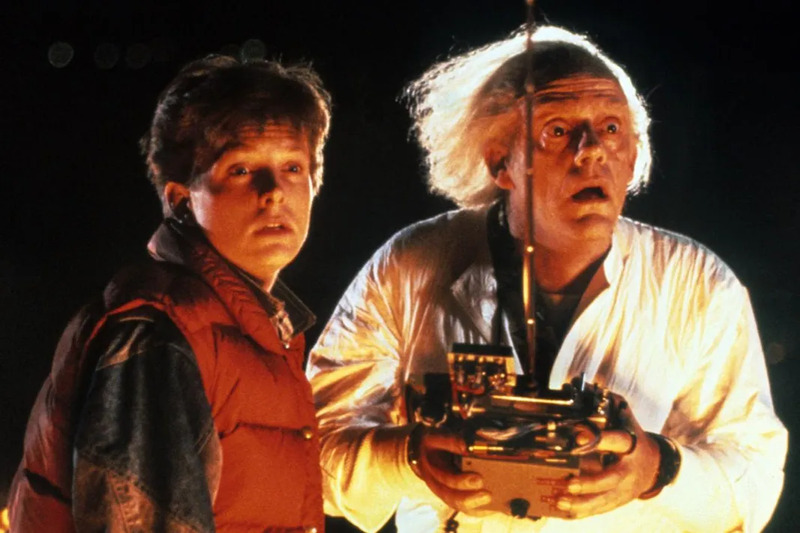 The project, titled Back to the Future Chronology, will encompass all three movies and “starts with Marty showing up in 1885, ends with them leaving 2015,” Suich explains. Suich has loved loved the Back to the Future franchise for years, calling it one of his all-time favorite trilogies. “At the end of [Back to the Future Part II] when Doc is struck by lightning and sent…. away. Marty has no idea when. As a kid I remember thinking, how is Doc going to handle this? Then the letter arrives, and your mind boggles at the brilliant writing of Zemeckis and Gale,” Suich told Hollywood.com. In A Hurry? Here’s The ‘Back To The Future’ Trilogy In 1.21 Minutes!